How Do Professionals Restore and Clean-Up Flooded Basements? There are many things to consider after a flood, and since you need to act quickly, calling professionals for flooded basement cleanup is your best option. 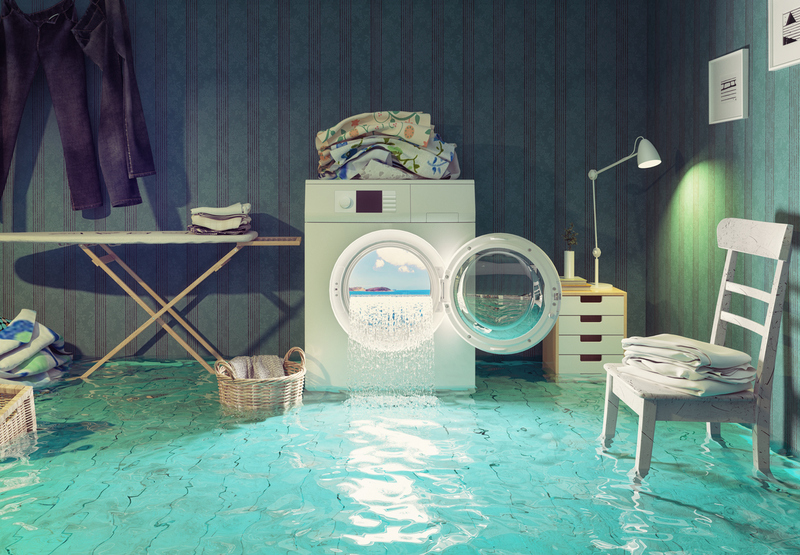 They can help you through the process by figuring out which items have been damaged, where the source of the flood came from, and how to properly clean and restore your basement. If you want the process to move faster so your life can go back to normal, here’s how the professionals can help you. Professionals who deal with flooded basement cleanup have all the tools and equipment needed for the job. They know how to properly repair and restore your home and can help you negotiate with your insurance company. Since they provide fast service and ensure a total cleanup, you can trust that your home will be restored in the best shape possible. Here are some reasons why a water damage cleanup company is the best option to deal with a flood issue. Before trying to remove any water, flooded basement cleanup companies will shut off the electricity to the area. They will also recommend that you keep your children and animals out of the basement and away from standing water. Depending on where the water has come from, it could be toxic or polluted and cause serious health risks. In these cases, they wear protective clothing and a respirator to keep them safe from hazardous water. Basement flood cleanup services will then find the source of the flooding and stop more water from entering your basement. Once they find the source they will repair it and form a restoration plan of your home depending on how much damage there has been. They will take all the right steps and precautions if the flooding contains sewage or other dangerous materials. Flooded basement restoration companies are familiar with the insurance process. They can help you file your insurance claim and will assist you throughout your claim process. This process can sometimes be challenging; however, a flood damage restoration team can help you reduce the flooded basement cleanup cost. Additionally, they can help you assess any structural damage the water may have caused, and if this water has been sitting for a while, they can help you catch the damage early enough to resolve it. Reputable restoration professionals can begin restoring your home immediately after assessing the damage. You won’t have to wait days for cleanup to begin after the evaluation. Professional water damage restoration companies have the right tools to remove the water from your home such as truck mounted water extraction equipment and dehumidifiers. These tools can help restore and cleanup your flooring, furnishings, and other objects by removing water and moisture from them. Sheetrock, baseboards, and insulation can absorb water which can cause them to buckle or swell. This can affect the framing of your walls and insulation. Professionals will remove these materials and save what they can. Homeowners are generally not prepared to handle the mess that comes with a flood, especially in the case of a sewage backup. Flood damage repair companies know how to get the job done correctly and have all the right tools to do so. You may be able to clean floors that are visibly wet from rain water leaking into your basement window, but the experts will be able to determine if water has gotten into the structure of your home and building materials. After the professionals have removed the water from your home, they will use special drying equipment to dry your floors, furniture, and other materials that got wet in the process. They also have high tech air scrubbers to remove foul odours and contaminants from the air. This process may take a few days. Most flood damage situations can present serious mould problems. That’s why dealing with flood damage even if it is caused by leaky plumbing or foundation seepage is imperative. Professional services can remove mould and follow up with proven remediation techniques. If you notice water on your basement floor or a foul smell coming from downstairs, you may be dealing with a flood damage situation. Since it is hard to know where the water has come from, calling a professional water damage restoration company is the safest way to inspect and find out. If you wait too long, the water could spread further, cause more damage to your home, and be more expensive to clean up. Flood damage restoration professionals follow a tested and true plan to deal with these situations and help you quickly. If you need help with flooded basement cleanup or if you want advice for how you can prevent it from happening to your property, Flood Services Canada can help you. Our professionals can provide you with solutions, and will act as a liaison between you and your insurance company. We deploy our quick-response teams across southern Ontario to help homeowners in a tough situation. We’re ready to provide 24/7 sewage, water damage, and food cleanup services and will use the best techniques, personnel, and technology to ensure your home or business is clean, safe, and dry as soon as possible. Contact us at (416) 302-2107 to learn more about our services, or use our emergency hotline at (416) 999-3930 to get our rapid-response teams deployed to your location.